It is a general belief that good Cantonese Dim Sum cannot be found anywhere outside of the immediate suburbs of Metro Vancouver. 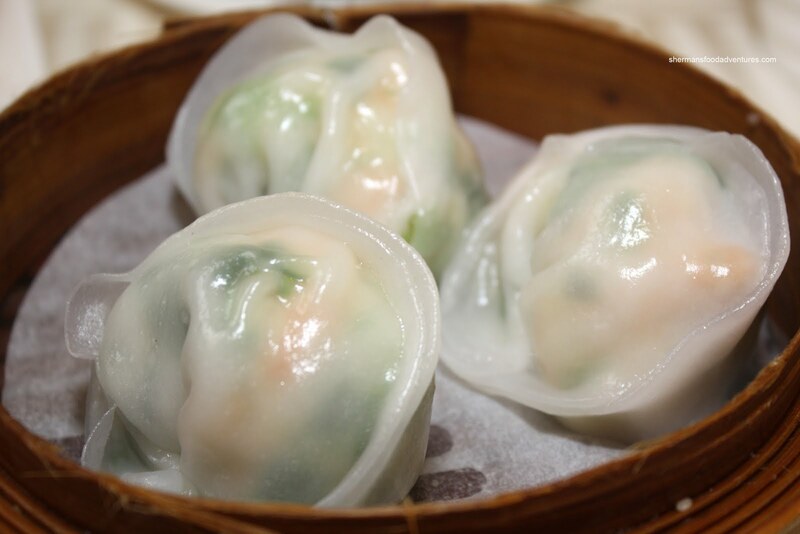 Naturally, there are places that "claim" to serve Dim Sum; yet what ultimately transpires is some spring rolls and unidentifiable dumplings. 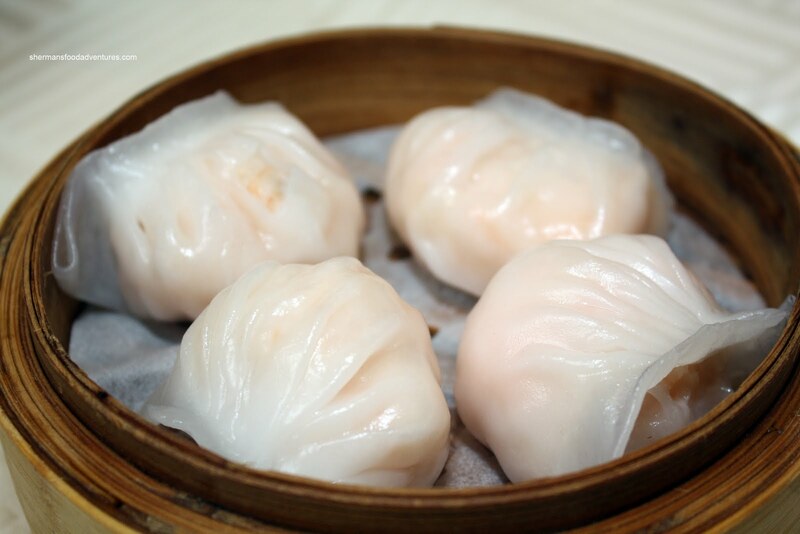 What is really hard to find is authentic Dim Sum that should look and taste like the stuff you get in Vancouver or Richmond. 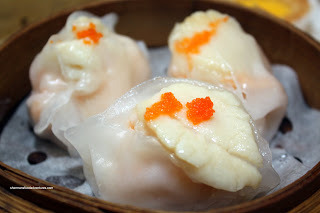 I'm sure some of you are now laughing at the mere mention of good Dim Sum out in the burbs. 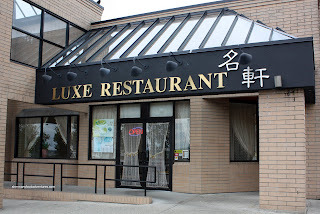 Now, to draw further ridicule, I was actually looking for good Dim Sum out in Langley. Langley??? You might think the chances of that are as good as not eating at a Chain restaurant out here. On that note, if you haven't noticed, there is almost every conceivable chain restaurant out here, including the only Olive Garden in British Columbia. Langley is mainly a family-orientated community and with that, chain restaurants thrive. With that being said, there are many good places to eat in Langley, if you look hard enough. Oh and it gets better. Driving down 200th, there was this car driving under the speed limit in left lane. So I switch over to the right lane. Well, that didn't help. The minivan I ended up following impeded my progress by stopping at every light. If you live out in Langley, you'll know how long those lights are on 200th! So that is why I was late. I really should stop giving Richmond such a hard time since it appears no one knows how to drive in the GVRD regardless of location. When we finally got to the restaurant (which is directly across from Willowbrook Mall), I was surprised that they had push carts! 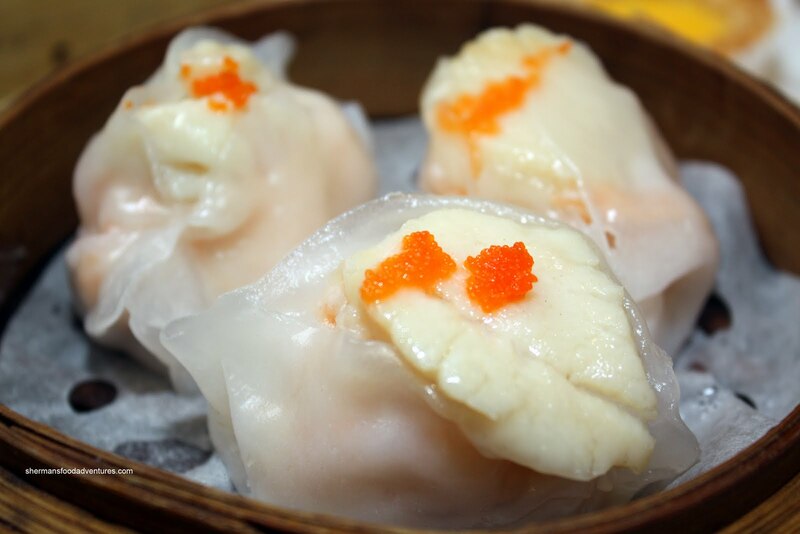 Talk about the full-meal deal on authentic Dim Sum. So, it wasn't long until we had food on the table starting with the Shrimp Dumplings. They were a fairly decent size filled with delicately-seasoned crunchy shrimp. It's too bad that the dumpling wrapper was both chewy and dry. Honestly, at this point I was just busy taking photos since we ordered so many items from the passing carts. I don't think I got to eat until the last picture was taken. The next item I got to was the Beef Meatballs. Despite the obvious inclusion of green onions in the meatballs, it didn't overwhelm the meat. In fact, Nikita's kid must've devoured 2 of them himself. So the taste was definitely mild enough. For me, I liked the slightly chewy texture. 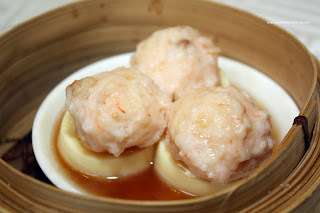 Then we had the Shrimp Balls on Silk Tofu. This was pretty good with a shrimp meatball that still had "bite" and a properly steamed slice of silk tofu (it didn't fall apart). The Beef Short Ribs were unexpectedly good. You se e, most times there is more fat and chewy tendon than meat on these things. What we got were big tender pieces which were quite garlicky. The Pork Spareribs were equally garlicky and meaty as well. 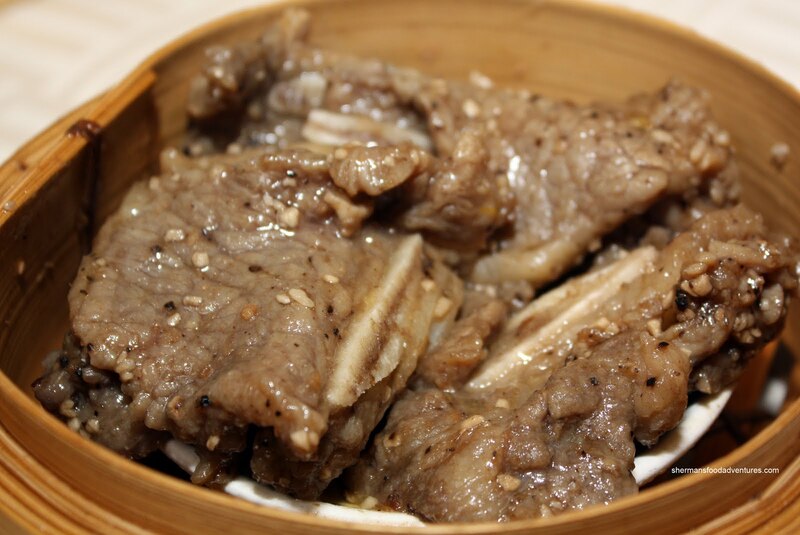 As you can see in the picture, the ribs are meaty; rather than the chewy and fatty cartilage pieces. We got an order of the Shrimp Spring Rolls to satisfy my son. Unfortunately, that means only eating the crunchy wrapper and ignoring the shrimp. Well, at least I get the shrimp... 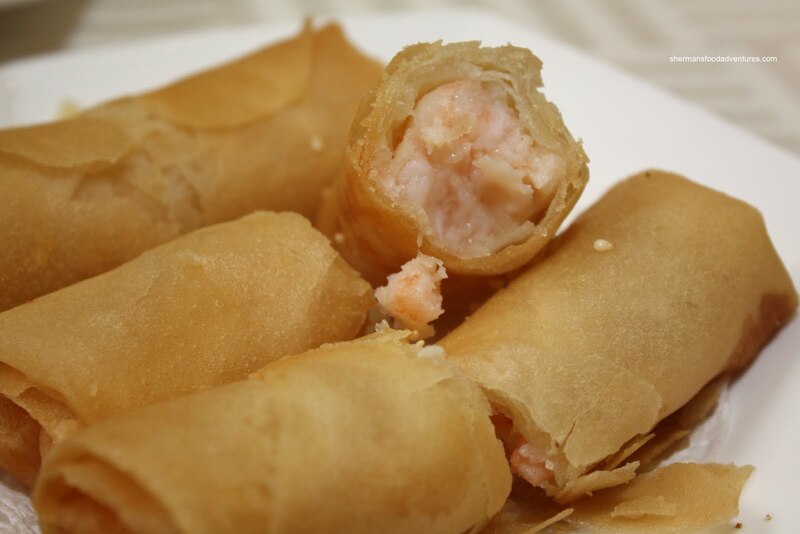 The spring roll was good, fried perfectly without retaining too much oil. Sharing the same dry, doughy rice flour wrapper as the shrimp dumplings, were the Scallop and Shrimp Dumplings. Mind you, that was probably the only negative thing about them. Filled with plenty of crunchy shrimp and topped with a decent slice of scallop, these dumplings were good. 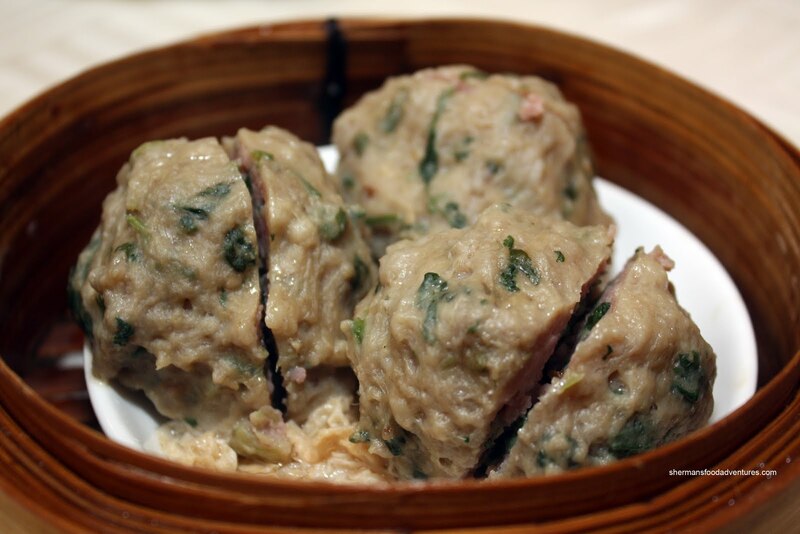 From one dumpling to another was the Sui Mai. The ying to the shrimp dumpling's yang, these were pretty good as well. There was a good combination of slightly chewy pork with crunchy shrimp. There was a predominantly porky taste to it with a few bits of shiitake adding some flavour. I liked how they used some tobiko on top which added a nice colour (same for the scallop & shrimp dumpling as well). It is such a simple thing to do; but it really enhances the appearance. We got one order each of the Beef Rice Noodle Roll and the BBQ Rice Noodle Roll. What we didn't get was the shrimp version. This is highly unusual. Unless you have a dislike or allergy to shrimp, it is a given that you order the shrimp one over the others (well, maybe not scallop). I remember, as a kid, being told that, for the same price, it is always worth it to get seafood first. Well, we didn't and honestly, I really prefer the BBQ p ork version more. The one at Luxe is pretty good. 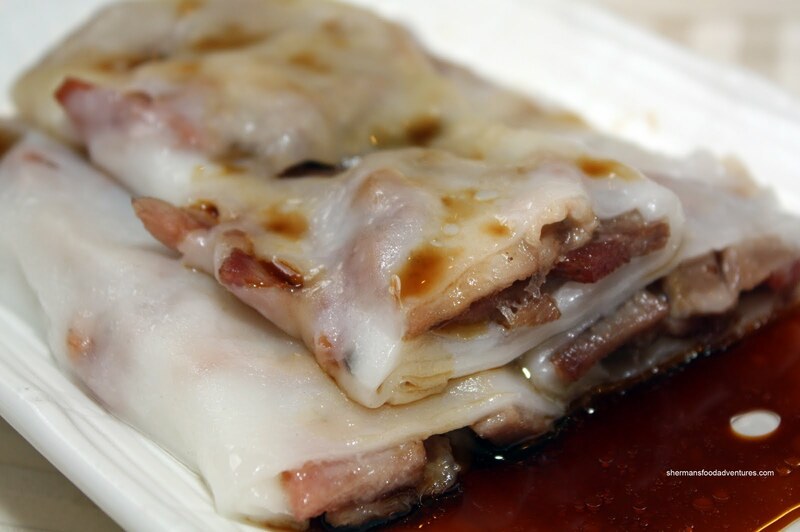 There were plenty of lean pieces of BBQ pork, all wrapped up in soft sheets of rice noodle. I liked how the rice noodle was quite thin (as you can see in the picture). The last item we had was the Pea Shoots and Shrimp Dumplings. I didn't get to try this one; but it was good since it had the same crunchy shrimp as the shrimp dumplings. However, it also had the slightly chewy dumpling wrapper too. Not a big deal though. I'd prefer chewier over mushy any day. Wow. I didn't see this one coming. Yes, I have heard good things about Luxe; yet to see for myself was an eye-opener. 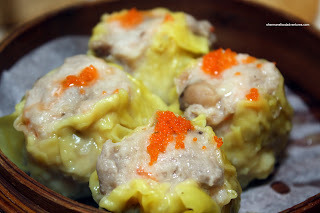 The Dim Sum is good enough to rival places in Vancouver. 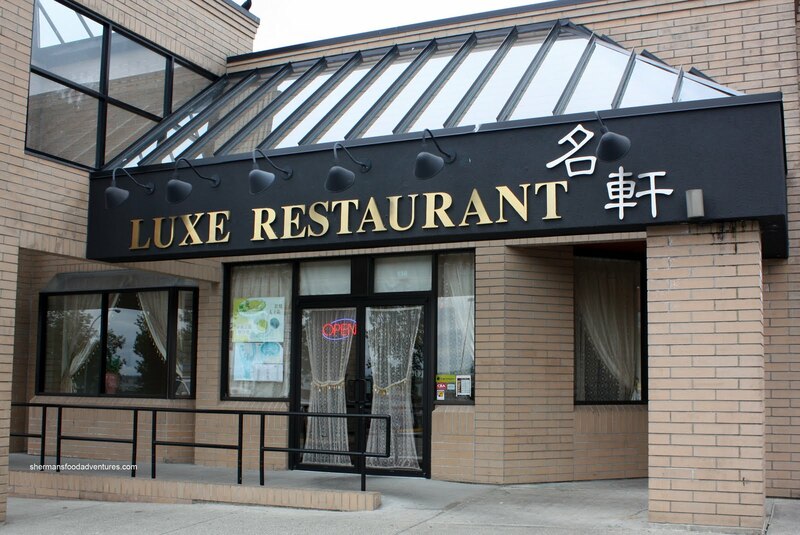 Of course I've had better; however, Luxe is not only good enough for Langley, it's good enough for anywhere in Vancouver. Man, that looks good! 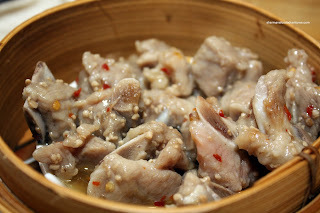 I mena, how about dim sum first followed by some berry picking in the fields nearby followed by some other activities and finishing with some BBQ? Suddenly, Langley does not look that bad! Now, one detail that you might have left out: $$$ compared to those here? Kim, believe me, it is very good. It is slightly pricey compared to some places in Vancouver, but not by much.